Does It Matter If This Year’s Oscars Were the Least-Watched Ever? The 90th annual Academy Awards will almost certainly go down as the least-watched Oscars telecast in modern TV history. Reliable national Nielsen numbers for the Sunday night broadcast won’t be available until later this afternoon, but preliminary data suggests the show’s overall audience will fall below 30 million viewers for the first time ever, finishing substantially behind 2008’s record low of 32 million. The year-to-year decline will also be substantial, likely at least 15 to 20 percent behind last year’s event. These numbers will no doubt prompt a slew of bad headlines, not to mention a parade of hot takes about what the ratings mean: Liberal Hollywood is out of touch with Real America! This is what happens when Wonder Woman doesn’t get nominated! The show is too long! The biggest factor in the Oscars rating free fall, however, has nothing to do with any of the aforementioned hot buttons. 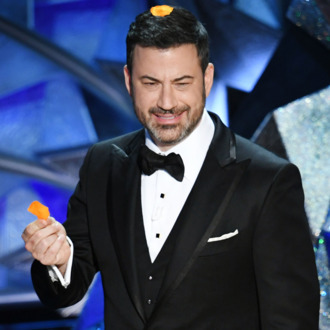 The Nielsen numbers for Jimmy Kimmel’s Oscars broadcast will be way down because ratings for almost everything on TV are way down these days. Annual double-digit declines for all but a handful of shows are now the norm in TV, and events like the Olympics, the Super Bowl, and, yes, the Oscars aren’t immune. Although this year’s drop-off for the Academy Awards looks to be particularly steep, and probably a bit depressing to ABC execs (and the movie industry), it’s hardly apocalyptic. Here’s why. Smaller audiences don’t automatically translate into smaller profits for ABC. While ratings for Sunday night’s show will prompt a flurry of negative headlines, odds are they won’t make a huge difference to ABC’s bottom line. Consider: Even though the 2017 Academy Awards scored the second-smallest audience ever, the Alphabet network was able to charge about 10 percent more for ad time on this year’s show, according to reports in multiple TV-industry trades. If past years are any indication, that should put ABC’s overall haul Sunday in the range of $120 million, including ads on the network’s multiple preshows. Subtract the roughly $75 million ABC pays annually to the Academy for broadcast rights to the show, and the network’s net profit for the show will be in the tens of millions. Why are advertisers paying more fewer eyeballs? Simple: With TV ratings down across the board — even the Super Bowl stumbled this year — it’s harder than ever to reach really big audiences all at once. The number of viewers who watched Sunday night might be disappointing by past Oscars standards, but it’s still double to triple the same-day audience of even the top-rated shows on broadcast TV (and about three times the number of viewers who caught last week’s mid-season premiere of The Walking Dead). To be sure, there’s no guarantee advertisers at some point won’t finally begin to balk at paying such a high premium for Oscars commercials. But recent history suggests that even if ABC is unable to push ad rates higher next year, it’s unlikely those rates will go down anywhere near as much as the ratings did last night. The Oscars are still a great way for ABC to promote new shows. Despite bright spots like The Good Doctor and the amazingly resilient Grey’s Anatomy, it’s been a brutal couple of years for the Alphabet. All networks are losing viewers, but ABC has suffered some particularly big blows as its biggest hits (Modern Family, Scandal, Once Upon a Time) have faded and few new successes have stepped up to take their place. While Good Doc was an out-of-the-gate smash, the other four ABC shows that premiered last fall were ratings duds. The network is now rolling out another six scripted series, as well as reboots of both American Idol and Roseanne over the next two months. It’s a ridiculous amount of programming to launch in such a short amount of time, but the still-relatively huge audience for the Oscars provided a great platform on which to promote all of it. Even if only one or two of the new shows hyped last night get a boost from the Oscars advertising, it’ll be a big win for ABC. The Academy is protected from lower Oscars ratings for (at least) a decade. Back in 2016, ABC extended its existing decades-old deal to broadcast the Academy Awards by another eight years, ensuring the kudos will continue on the network through 2028. Even if ratings for the show continue to drop, that $75 million or so which flows into AMPAS’s pockets is guaranteed for a long, long time. Of course, it’s quite possible the whole idea of broadcast TV and linear networks won’t be around by the time 2028 rolls around. Given Netflix and Amazon’s ambitious expansions into the movie business, it’s not far-fetched to imagine a scenario a decade from now where the Oscars depart ad-supported TV altogether and end up streaming somewhere where ad dollars (and thus ratings) don’t matter at all. Would a streamer pay $75 million a year for a one-time-only event whose price couldn’t be offset by ad revenue? Logic suggests no — but in a TV world where Ryan Murphy gets $60 million a year, and Amazon pays a quarter-billion dollars to develop a Lord of the Rings series, never rule anything out. Update: Preliminary national numbers just came in, and they’re as bad as expected. Per Nielsen, the Oscars attracted an average audience of 26.5 million viewers. That’s down 20 percent from a year ago, and 5.5 million viewers below the previous low-water mark in 2008. ABC hasn’t released demographic data yet, but it’ll likely show a more dramatic decline.